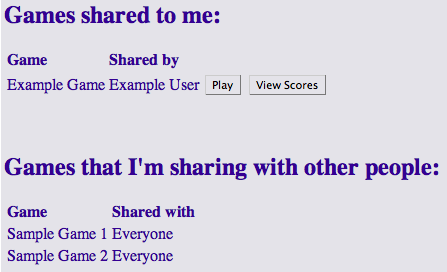 Part of the home page shows games that are shared. The first section shows games that other users are sharing to you. The second part shows which games you are allowing other users to play.